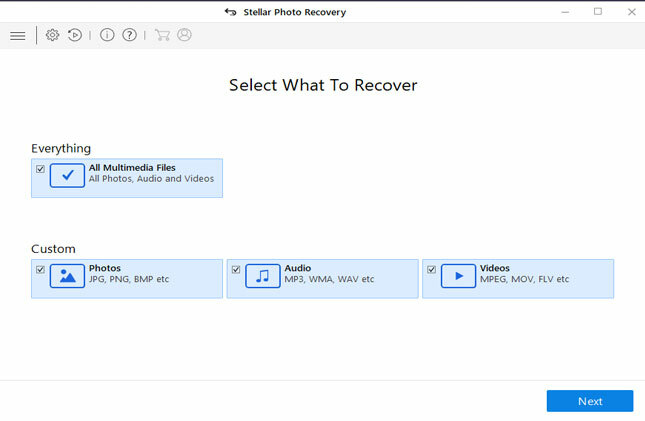 How to Put Photos Back Onto a Memory Card on Windows/Mac? 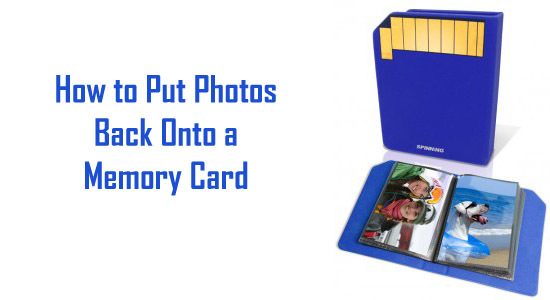 How to Put Photos Back Onto a Memory Card? Memory card is the best option to store images on it because we can store lots of images in the memory card. Nowadays all the digital cameras are used memory card to stored the captured image because memory card is very small and can be easily inserted into the camera. Memory card can also able to store more than thousand of photos in it, storage capacity depends on the image size and size of the memory card. We can also carry photos very easily by the help of memory card. But beside all its facility, compare to other storage device data can be easily got corrupted and deleted in the memory card. Deletion of photos is the very normal scenario for any one ant it can occurs with almost memory card user. Take an example when you connect your memory card to your computer and copy all the photos to the HDD of the computer after copying all images you deleted them from your memory card to make space for new photos. But the photos that are stored in the computer HDD gets corrupted or inaccessible. This example shows that why the photo recovery is important for us. If any other data doesn’t replace the space of memory card then you can still able to recover the deleted images from your memory card. How Photos Get Deleted From Memory Card? Virus infection– It is the most common reason of memory card corruption and it can also affect the data of the memory card. If you connect your memory card with any virus infected computer system or any other device then it is sure that your memory card will also get infected with the virus and due to virus infection content of memory card gets inaccessible. So it is necessary that avoid connecting memory card with any infected device. Improper removal of memory card- If you remove memory card improperly or directly from any device like computer or mobile then there is a chance of memory card corruption. Always remove memory card properly from the computer apply the proper removal method to remove memory card safely. Safely removal can protect memory card from corruption. Low Battery- If you are using your camera, mobile or any other device in low battery and memory card is inserted then it may affect the memory card hardly. Avoid using phone or camera in low battery because due to lack of power these devices are unable to execute complete process and due to incomplete process a memory card get corrupt. Accidental deletion/ Formatting- Sometime because of wrong operation or selection memory card get formatted or all the images get deleted from the memory card. By pressing Format option or Delete All option unintentionally all the data of the memory card get deleted or formatted. So it is recommended that read the manual carefully before operating any device. Unexpected power cut- Due to unexpected power cut a memory card can also gets deleted, if you connect your memory card with a computer system to copy images and during copying images from memory card to computer suddenly power cut occurs and system goes shutdown. So it is necessary to avoid this type of scenario you have to use any power backup option like UPS. 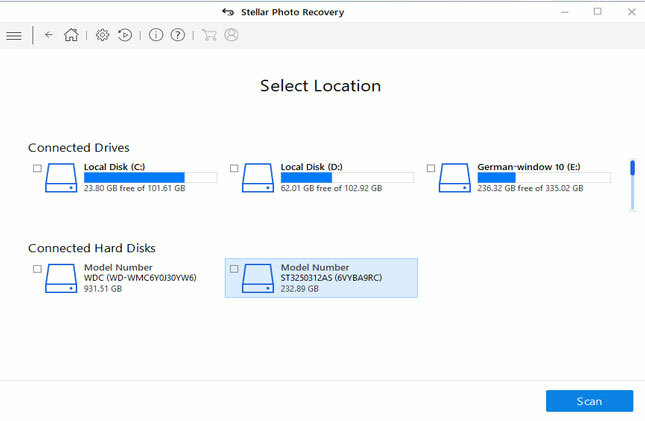 Recovery can only be done by applying any third party photo recovery tool, this tool is strongly programmed and can able to recover any types of images from your memory card. It provides very simple user interface that can makes this tool for any one. Because of its user friendly interface one can use this tool without any user guide. 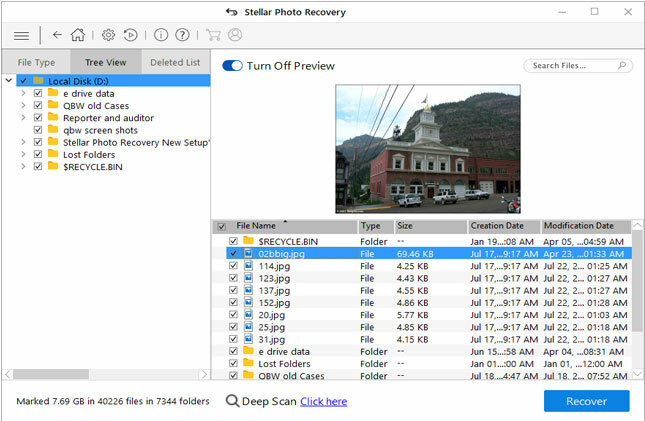 It can recover all types of images like JPEG, JPG, PNG, GIF etc so it is a perfect photo recovery tool. Along with memory card this tool can also able to recover photos from any external or internal hard disk drive. 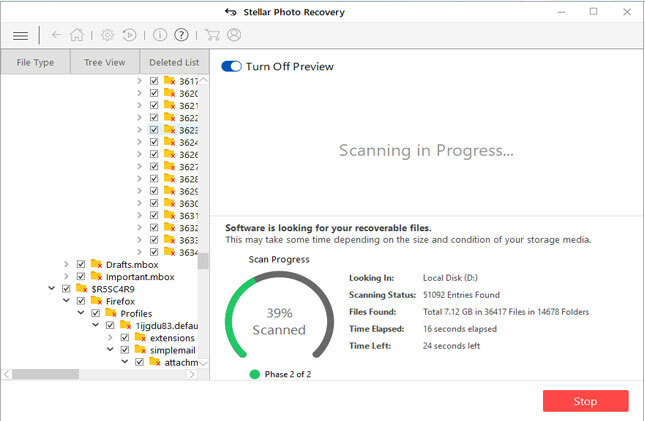 Simply download this tool and install it onto your computer system run it and recover deleted or corrupted photo from any storage media. How to Transfer Photos from a Digital Camera on Windows/Mac?